Homeopathic remedies will help those symptoms of Alzheimer's Disease to improve their health condition. Alzheimer's is degenerative brain disease and an autoimmune disease. It is caused by the gradual deterioration of brain cells that result in the loss of memory, cognitive abilities and intelligence. The disease primarily affects the elderly. Symptoms are often seen as early as the late middle age. Alzheimer's disease is one of the primary cause of dementia, a decline in brain performance, thinking skills and reasoning. There is a suspected link to heavy metal toxicity in Alzheimer's as well as under methylation. It can be difficult to place a person with Alzheimer's in a specific stage as stages may overlap. The person does not experience any memory problems. An interview with a medical professional does not show any evidence of symptoms of dementia. The person may feel as if he or she is having memory lapses — forgetting familiar words or the location of everyday objects. 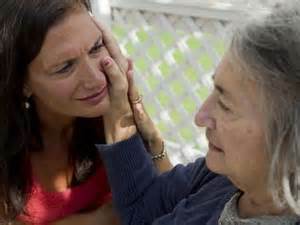 But no symptoms of dementia can be detected during a medical examination or by friends, family or co-workers. They may still say words or phrases. hey may also lose the ability to smile, to sit without support and to hold their heads up. For who are depressed and afraid of losing their minds. They become confused with their identities and experience rapidly changing moods. Chilly, constipated and very hurried in their actions and movements. This remedy helps those who have regressed back to childlike behavior. Fearful, timid and shy and lack confidence. Loss of memory and some patients may suffer from chronic glandular disorders. Nervous system disorders. Loss of memory. Lost concentration and inability to focus. Brain inflammation with swelling in the brain tissue (like in meningitis). Digestive disorders. Painful bowel movements are associated with this health condition. History of encephalitis or a head injury. Depression. Blank stares, involuntary sighs. Difficulty expressing thoughts. For those fixated with and dwelling on past hurts and unpleasant events. May feel sad and lonely. They can be childlike. They may be filled with self-pity or be unable to express the love they feel for others. These people often have headaches and painful joints. These people often angry, quarrelsome and irritable, faultfinding and insensitive to other's feelings. Extremely sensitive to everything, becoming easily hurt and insulted. No aluminum cookware or containers or utensils of any kind!